In EMMA’S QUESTION, Emma is excited beyond words that her grandma was coming to be a guest reader for kindergarten story time. But, all of a sudden, her grandma became sick and was in the hospital. Emma wondered about so many things. When would Grandma read at school? Who would babysit for her? When could Grandma play Chutes and Ladders again? But, the one thing Emma wondered most about “scritch-scratched in Emma’s throat. . . .” Emma was afraid to ask. Thankfully, all ends well with Grandma. And, there is a lot to be learned in this book about how no question is a wrong question, and all questions can be answered in careful ways that children can understand. Well, I’m not sure how often that is true, but I do know that on that day he was my main attraction, and he knew it. I had the time. I wanted to spend my time that way, and he knew it. Parents don’t always have the luxury of such focused, uninterrupted time. Darling Daughter: Or sometimes parents have been “on-duty” for too long with no break, and their patience is wearing thin. When grandparents are not the main caretakers it is a whole lot easier to make every minute special. Their “on-duty” time is usually more limited or at least has a known ending time or ending date. Grandparents can be funny. They often do things differently – in old-fashioned ways. They often talk funny using words kids don’t hear other places, like whipper-snapper, davenport, picture show, pocket book, thingamagig, catawampus, or cattycornered. Grandparents often can tell family stories and embellish them to be good for a laugh. Making children laugh creates an instant connection. I highly recommend that every family make time to tell funny family stories, play games that are full of laughter, and watch funny things on TV or in movies, especially home movies. Grandparents like to talk to their grandchildren. Everything the children say is interesting. They haven’t heard the same words and curious questions a thousand times like parents have, so to grandparents it is wonderful chatter and important news to them. Dr. Mom: Sounds like you have been listening to a lot of the same talk and questions over and over. Grandparents like to be asked questions. It makes both the children and the grandparents feel important. Since it isn’t happening everyday for the grandparents, there are never too many questions. Deep down inside, children come to understand that parents love them because they have to. In a child’s way of thinking it’s a fact of life that parents love their children. But, children also come to understand that Grandma and Grandpa, Aunt Susie, Uncle Dave, Stepmother, Stepfather, Godparent, and Mr. and Mrs. Jones across the street don’t “have “ to. So, when those folks are loving them, are interested in them, excited for their accomplishments, sad about their disappointments, and always encouraging to them – it means something special. I am not saying that this love is more important than a parent’s love. I am just saying that it is special. It fills a place in children’s hearts that parents can’t completely fill. Parents are very busy being responsible to their children in addition to loving them, and that makes their love absolutely essential but different than the free love of grandparents – and other special adults in children’s lives. If you are one of these special people in a child’s life – celebrate it. If you are a parent and are lucky enough to have some of these special people in your child’s life – celebrate them. Children need as many people in their circle of love as possible. The more there are the better it is. Competing to be the most important person or the most loved person in a child’s life is not helpful to the child. Children need to be able to open up and accept as many loving people in their lives as they are fortunate enough to have around them. Life Is Not Always Ideal. I must admit that what I have just written is the ideal, and not all family situations are ideal. It is true that some grandparents don’t know enough about children or aren’t healthy enough themselves (physically, mentally, or emotionally) to actually be the type of grandparent I just described. If that is true in your case, be on the lookout for friends and other family members of the grandparent age who, if they had a chance to get to know your child, would love him the way I’ve described. Then, make those opportunities. Uh, oh! I say that too! Feeling old again. As I write about the importance of grandparents, I realize that many of the wonderful things that grandparents do stepparents can also do very well. They can provide constant love and encouragement for children without the heavy responsibility, fear, guilt and other emotions that biological parents so often have after losing a spouse through death or divorce. Did you know that when children in blended families don’t get along with a stepparent that marriage is very likely not to survive – even when the two adults are totally devoted to one another? Child issues are the reasons most often noted when blended family marriages break-up. That is a statement worth thinking about. If you are in a blended family, it is worth thinking and planning for the way you are going to interact with your stepchildren to try to avoid this common marital hazard of children who are at odds with a stepparent. Let’s think about ways that a stepparent relationship can be like those wonderful, very important grandparent relationships. Grandparents don’t have first and constant responsibility for disciplining children. That can make them very attractive to children. It takes some family struggles off the table. This can be true also for a stepparent, if both adults can agree that discipline will not be the “job” of the stepparent and will be the job of the biological parent instead. The stepparent’s job will be to support the biological parent’s discipline and to establish clear house rules (as grandparents should also do). 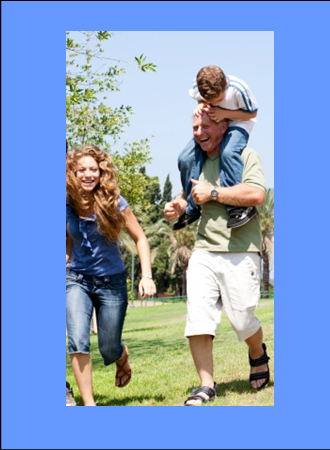 It is important that the biological parent and stepparent not be at odds. So you are saying that the stepparent should still discipline the child and maintain house rules but that the biological parent should be setting the rules and consequences? I think it is vital for the stepparent’s credibility that they are taking a role of being in charge in the household and not be stuck in, “Wait ‘till your father gets home.” They shouldn’t be stuck with no authority over the children. Yes, I agree. The stepparents will often be “in charge,” but they and their spouses (biological parents) should be discussing expectations often enough that both adults are on the same page – at least enough that the stepparent can honestly support the biological parent. If stepparents have a basic dislike for how the biological parents choose to parent, they will constantly be trying to establish “better” rules and attitudes for raising the children. It goes without saying that there will be times that stepparents and biological parents will not be in agreement. In these cases, I am suggesting that the biological parent make the final decision, but that the decision be acceptable enough to the stepparent that he or she can honestly support the decision. If the two can’t get to that point, I regret making this prediction, but I think the marriage will be in trouble. The biological parents or the stepparents can only “look the other way” or “bite their tongue” for so long. After awhile one or the other is feeling disapproved of which will affect their feelings for each other. Grandparents are the adults in charge when they are with the children, and they expect respect from the children. Stepparents can (and should) require that of themselves and of the children as well. Children should always know adults are in charge. But, in the case of both grandparents and stepparents, this can be about house rules and supporting the parent’s discipline. It doesn’t have to be a power struggle between them and the child directly. They don’t have to be the ones who decide the curfew, allowances, bedtimes, etc. The parent can make those decisions. Grandparents have fun with the children, make them the center of attention when they are together, and let the children know how much they enjoy them. Stepparents can do this too. Because they are allowing the parent to be the main person responsible to the children regarding their upbringing, stepparents can focus on lots of love with no strings attached, encouragement, teaching new things, allowing independence, and an understanding that the children are ever so important to them – just like grandparents do. Making this comparison between stepparents and grandparents emphasizes that, like grandparents, stepparents are stepping back from the main responsibility for the child’s upbringing. But, stepparents, like the grandparents, still are very involved, look out for the well-being and safety of the child, and enforce rules while enjoying the freedom of loving, teaching, and enjoying the children. I can’t talk about EMMA’s QUESTION without mentioning something about death, since it is certainly on Emma’s mind. If you want more information about children’s grief and loss see our January 15 post (Children and Loss). Also, if you want to help a child talk about a grandparent or other important adult who is sick and a worry to the child, I recommend you read EMMA’S QUESTION to the child. It is a sensitive story with not too much information but enough information to invite the child to ask any questions on his mind. Also, in case you worry about exposing your child to the death of a grandparent, this is a “safe” book that ends well.